Black Sea Salsa is a 15-piece World-Music group made up of 6 horns, 4 vocalists, and 5 rhythm, playing an original blend of Armenian music and Afro-Cuban Jazz. 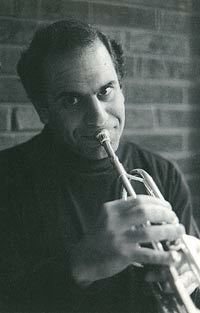 Led by trumpeter Dan Teager, who writes and arranges the band's repertoire, Black Sea Salsa has established itself as one of Boston's premier festival bands, playing for venues such as Sail Boston 2000, Marblehead Arts Festival, Norwood Summerfest, and the Boston Arts Festival. In addition, the group has been officially recognized by the Massachusetts Arts Council, which awarded Black Sea Salsa a grant to perform a series of outdoor concerts in Belmont and Watertown. Dan Teager started the group in October of 1996 with the help of the Armenian International Women's Association. Since then, he has honed his writing skills to take advantage of the formidable talent that 15 professional musicians can bring to the stage. Whether it's a fast mambo with lyrics in three languages, a lilting aria that transforms iself into hard-driving blues, or a classic line dance with an unexpected horn line, Black Sea Salsa has an original sound that is danceable, fun and loaded with energy.